because I know more than I know and must learn it from myself. These are a selection of Manjunaga’s monthly reflections sent out in his newsletter. I recently spent a week teaching on a yoga and meditation retreat at Dhanakosa, a Buddhist retreat centre in Scotland located next to Loch Voil & the Trossachs National Park. Those of you who have been lucky enough to visit Dhanakosa will know It provides a quiet and beautiful setting for retreats. During my stay I became aware of the chorus of bird song that would surround me every day. When we would meditate in the shrine room in the afternoon I particularly loved hearing the sound of a Woodpecker in the nearby trees, tapping away. I noticed that when I listened to sound of the Woodpecker it acted as a reminder to stay embedded in my body whist also staying connected with the world. I reflected on how often we can lose our sense of belonging and connection to our environment and the world. The meditation teacher Paramananda wrote about this in his book, ‘The Body’ where he described watching a television programme about the culture of Indigenous Australian peoples. “I was struck by their intimacy with the world around them. I was impressed not only by their vast knowledge of plants and animals, but also by their sense of care and appreciation for their environment, a profound sense of belonging within the landscape that brought forth a feeling of reverence and responsibility for the world that sustained them. They seemed totally at home in the world, in a deep, yet relaxed, intimacy with everything around them”. How can we find our own way to connect more deeply with the environment and our world? This may not come naturally to us, we may not live directly in nature or be able to visit beautiful landscapes all the time. However, I think that in our daily lives our meditation and yoga practice can help us towards this goal. When I mediate or do my yoga practice in the morning I try and come into a simple relationship with my body, feeling through my senses where my body meets the floor and when I do this I give myself the opportunity to notice any sensations through my pelvis, my back or my legs. Then, I open my awareness out to include any sounds around me in the room such as a ticking clock or the hum of a radiator. From there, I focus on the sounds outside of the room. For example, I have a neighbour who is a talented musician and I can often hear them practicing their guitar. Sometimes I hear children playing in the gardens outside my room. Rather than interpreting these sounds in my environment as an intrusion on my practice, I try and see them in the same way as I saw the Woodpecker – as a calling bringing me deeper into life and my connection with the world. If I can relax and open to the experience, I often feel more connected and embedded in the world and my life. From this, a natural desire to want to care for my community and the world around me comes alive and I feel less isolated. When was the last time you felt an emotion that you did not want to feel? I found it really refreshing to hear this. I feel as a society we have placed a strong emphasis on having a positive attitude. I have noticed this to be even more prevalent in the modern yoga world, where there appears to be a heavy focus on the goals of happiness and positivity (and their corresponding emotions) almost as if they are solid and fixed states. My experience of life however has been that these states are a more ephemeral experience; maybe they last a few hours, a day or week, even a month, but at some point it changes and something else emerges. As my practice of yoga and meditation deepened, I noticed that by being in the world and in relation to life itself our states and emotions are in a constant state of movement. We hear news that touches us, and we feel sad; then maybe later a friend makes us laugh and a lightness enters our experience; a little later on we hear something that makes our blood boil. So, I am inclined to believe that these aspirational states of emotional positivity (we might be able to achieve if we just work hard enough) can be a very misleading view and I wonder if it might cause us to reject our more challenging emotions, wanting certain feelings to just go away. Susan described this as ‘Dead People Goals’. Learning to deal with the world how it is and not how we want it to be is challenging. You could say in a nutshell, life is very much a bitter-sweet experience and the emotions we feel on a day to day basis reflect this. The sooner we can truly begin to understand how important it is to be emotionally agile instead of chasing a fixed idea of ‘positivity’ or ‘happiness’ the easier our way in the world may be. Sir Roger Bannister, died peacefully in Oxford on 3 March, aged 88, surrounded by his family. On the 6th May 1954 as a 25 year old medical student Roger Bannister became the first man to run a mile in under four minutes. Pandemonium broke out within the crowd of 3,000 spectators when news spread that he had officially beaten the four minute mile. What is interesting about this story, apart from his athletic achievement is that up until that point it was considered impossible for a human to run the mile in under four minutes. After that day things changed and a new belief was held that it was now possible to do so. After a while it became normal for world class athletes in competition to run the mile under four minutes. Cynical and drunk and boring someone in some dark cafe”. When I was in my twenties, a friend of mine used to like to tease me because I was a hopeless romantic and they joked that one day I too would meet a similar fate to the character in the song. In more recent years I have begun to wonder if maybe they were right? I may have avoided becoming a drunk but I have noticed developing in myself a deeper sense of disillusionment and at times, cynicism towards life. The emotional rawness on ‘Blue’ is something I can relate to. After the death of my girlfriend Elaine, I found it was an album that I played continuously. It was as if the songs on ‘Blue’ mirrored my own desolate inner landscape of feeling broken hearted and disillusioned by life. As we engage with our lives we will all undergo a journey from naive innocence to mature experience and this seems part of a natural process of becoming an adult in the world. As I look at my own life, I often ask myself the question: Can I stay open hearted in relationship to the world, or is living with a certain level of disillusionment and cynicism just a part of getting older? The answer is, I like to believe it is possible to carry the wounds that come from being in the world, but that we can also simultaneously step into life feeling connected to others. Allowing ourselves to be seen, to love and be loved, to be vulnerable, strong and to get things right and make mistakes. Embracing our lives more fully, building a deeper relationship with what it is to be fully human and alive. On a Saturday in December 1967, a young man went down to his local record shop in London called ‘One Stop Records’. On this Saturday in question the young man had gone to buy Donovan’s new album ‘A Gift From a Flower to a Garden’. As he queued to pay, he glanced around at the people behind him and saw Michael Caine patiently waiting his turn, holding the album ‘Forever Changes’ by Love. This album was released by Elektra Records on 1st November 1967 and this month will be its 50th anniversary. ‘Forever Changes’ failed to achieve commercial success when it was first released, but has gone on to be recognized as one of the greatest albums ever made. Upon its release the Los Angeles Times wrote, “The album can survive endless listening with no diminishing either of power or of freshness”, while noting “…parts of the album are beautiful; others are disturbingly ugly, reflections of the pop movement towards realism”. 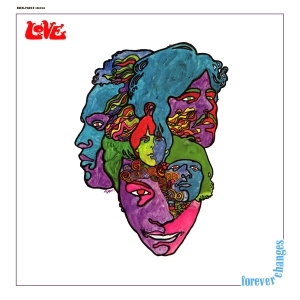 ‘Forever Changes’ has a musical background of lush orchestral string arrangements and mariachi style brass accompaniment. It manages to effortlessly move between haunting beauty one moment and eerie darkness the next, combined with Arthur Lee’s surreal, unsettling lyrics such as “Sitting on a hillside watching all the people die / I’ll feel much better on the other side” you have unique album like no other. I first discovered the album whilst studying at art college and soon fell under its intoxicating spell. I have discovered it’s an album that once you fall in love with, the love lasts a lifetime. One of the enduring themes within the album is its exploration of the human condition. It touches on themes of life, death, beauty and time. One of the central Buddhist teachings is that all things are impermanent and subject to change and flux. Simply stated, nothing in the world around us or our self is fixed or solid. There are no things, just process and flux. There is no fixed unchanging centre in any object in our experience. Unfortunately, we suffer and experience difficulties in life because we perceive the world around us as solid, looking for stability where there is none. Discovering these Buddhist teachings on impermanence and this vision of life as flowing change and process, rather than something solid and permanent was for me, exciting and profound it was as if Buddhism was articulating something I intuitively sensed in the world, but was not able to articulate. What I love about ‘Forever Changes’ is that within the medium of a rock album, we encounter similar profound insights on life that can be found in the teachings of Buddhism. Sometimes within popular culture we can find genuine works of art that have the ability to change our lives for the better. ‘Forever Changes’ is I feel, one such work of art and it is just as relevant today as it was in 1967. So wrote Ernest Hemingway in his novel A Farewell to Arms. I was reminded of these words recently as October marks the second anniversary of the death of my beloved girlfriend Elaine. Since her death, I have been living with the subsequent grief that comes from loosing a partner you loved and planned to spend the rest of your life with. I feel my heart broke the day Elaine died and something in me died with her. I have lived these last few years with a sense of feeling broken. At the same time my life has continued to unfold and I try to engage with it. I go to work, do the weekly food shop, pay the bills, spend time with friends and family. Yet beneath all this, a sense of being broken continues. When we have something broken in our lives, we generally try and mend it or fix it. Kintsukuroi or kintsugi is the art of repairing broken pottery with lacquer and silver or gold. The flaws of the broken pottery are highlighted by this process. There is an understanding that the new piece is more beautiful for having been broken. The flaw in the pottery is seen. as part of the history of the object, creating its own unique beauty, rather than something to disguise or be hidden. It is in fact more beautiful for having been broken. If we take the image of the broken piece of pottery and it’s golden repair, we may reflect on our own lives and the places that may feel broken within us. Maybe rather than feeling a need to hide those aspects of ourselves, we could allow them to be visible to the world, learning to carry them with us. The broken flaw is now a part of us, it never leaves us, but it also doesn’t define us as we begin to look towards the future and the life we can imagine for ourselves. I share this story with you because this experience gave me a sense that the world was suddenly bigger than the one I previously known. I began to discover a love of the cinema, the theatre and art which developed a sense of meaning and creativity I had not previously been exposed to. For me, the arts provided a vital gateway into life. 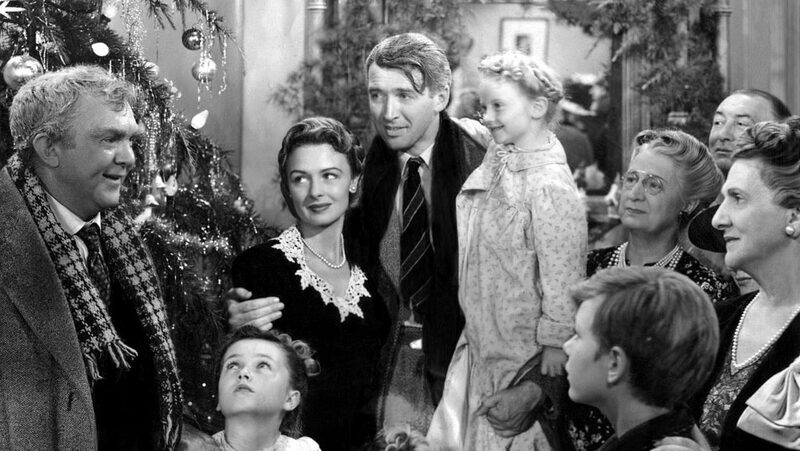 They helped me make sense of what it was to be alive and in the world, with all its complexity. 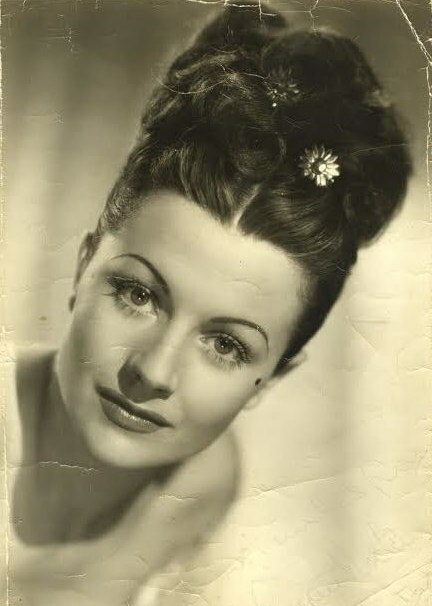 Many years later I inherited that photo of Margaret Lockwood and it know sits framed in my flat. When I look at it, I feel a thread of connection not only to my family, but also to my early love of the arts in all forms and how much they have enriched my life for the better. “The arts, quite simply, nourish the soul. They sustain, comfort, inspire. There is nothing like that exquisite moment when you first discover the beauty of connecting with others in celebration of larger ideals and shared wisdom”.